Eyebolts, eyenuts or lifting eyes as they are otherwise known are a very commonly used rigging supply or lifting component. 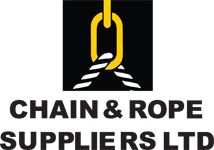 Chain and Rope Suppliers stock a wide selection of lifting eyes or eyebolts including galvanised eyebolts zinc plated eyebolts, self-coloured eyebolts and stainless steel eyebolts. Our eyebolts are available in metric and imperial thread. For more information on this Chain and Rope Suppliers product fill out this contact form below or call us on 01-4570021 and we will be happy to help.